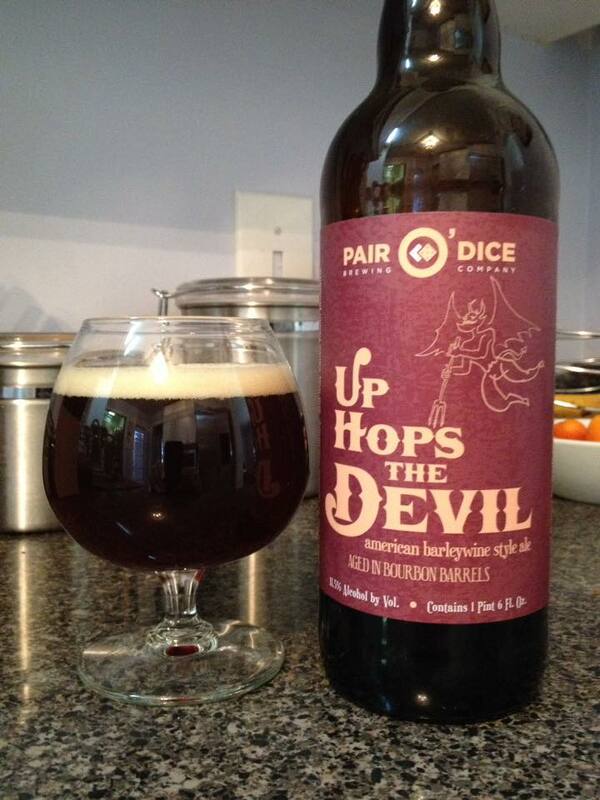 Pair O’ Dice Bourbon Barrel Aged Up Hops The Devil is an American Barleywine, 11.5% ABV, no bottle date. I picked this up at the brewery along with the non-barrel aged version right at the end of 2016. The regular version was a rather tasty so I’m looking forward to getting into this one! 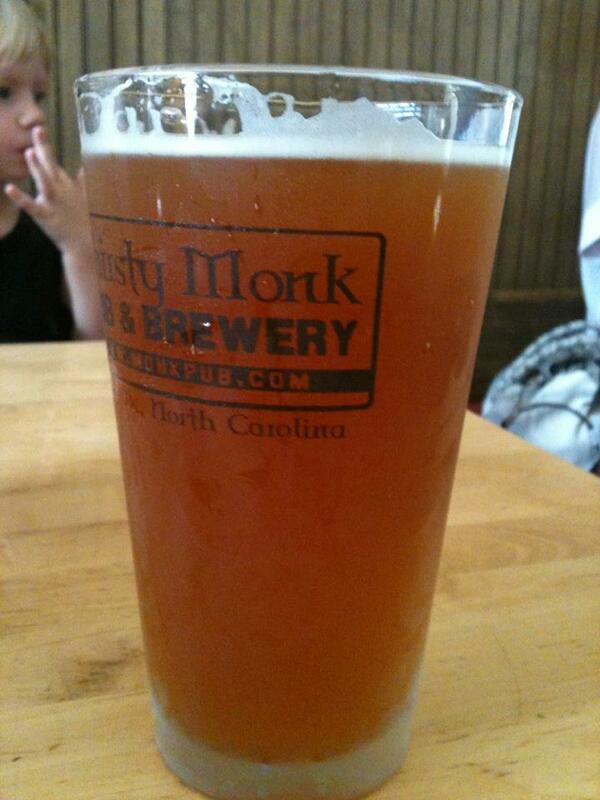 This beer is a dense burgundy color with a little bit of cherry red light coming through the edges of the glass. A light tan head retains rather well for the style and eventually settles to a pretty ring around the top of the beer. Fantastic classic Barleywine aroma on this beer. 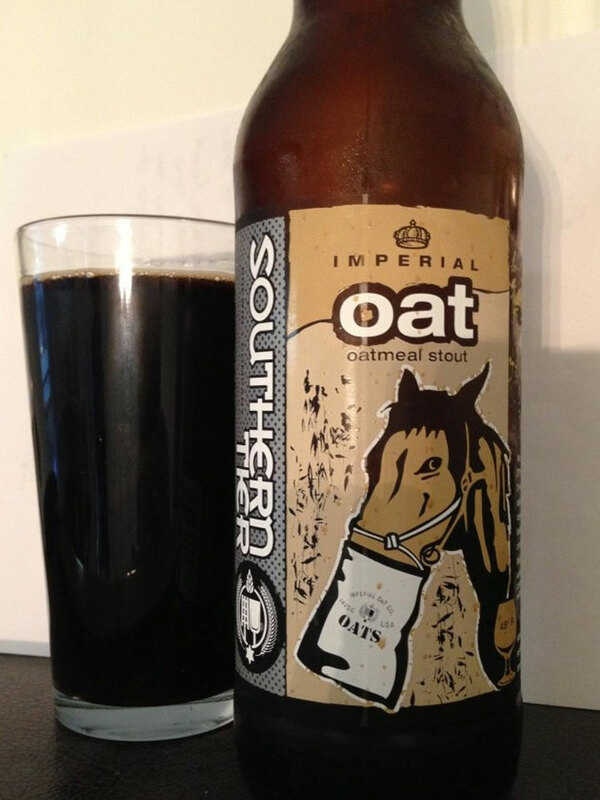 Big sweet malt with strong notes of caramel and brown sugar is complimented by rich bourbon and oak. The taste reflects the aroma and is also near perfect for an American Barleywine. Sweet caramel malt and a touch of vanilla battles hops that are adding a strong bitterness and spicy/earthy/pine hop flavor. Although there is a little vanilla in the taste, I’m not tasting the massive vanilla/bourbon sweetness you often get from a bourbon barrel. The exceptionally dry oak of the barrel itself accentuates the natural hop bitterness of the beer. Maybe just touch boozy in the taste, and I am definitely feeling the burn of 11.5%. It is nice to see a barrel aged beer that enhances the base beer more than it totally changes it.